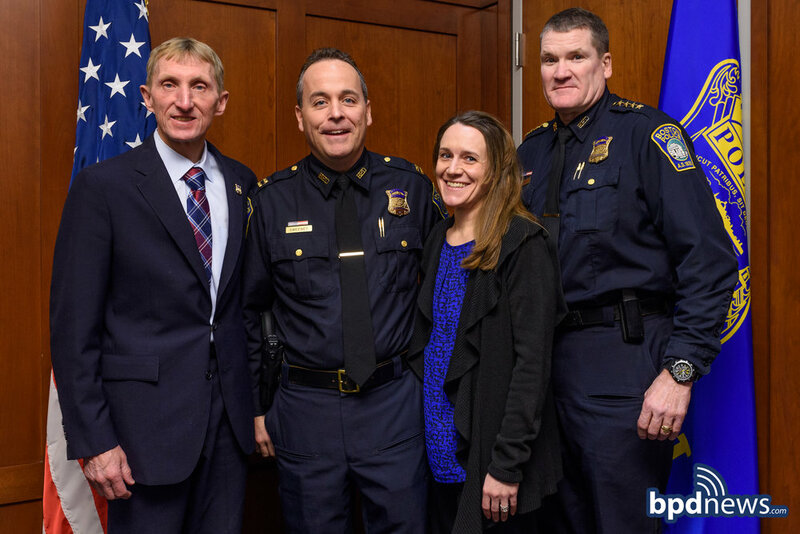 At a recent ceremony held at Boston Police Headquarters, Commissioner William Evans promoted Lieutenant Steven Sweeney to the rank of Captain. Captain Sweeney has served the department for over twenty years in many different roles across the city during his career. Moving forward, he will take over responsibilities as the City Wide Night Shift Commander under the Bureau of Field Services. We congratulate Captain Sweeney on his promotion and wish him the very best as he begins his new assignment with the Boston Police Department.